Same Blue Star ferry, this time 2 hours to Santorini. 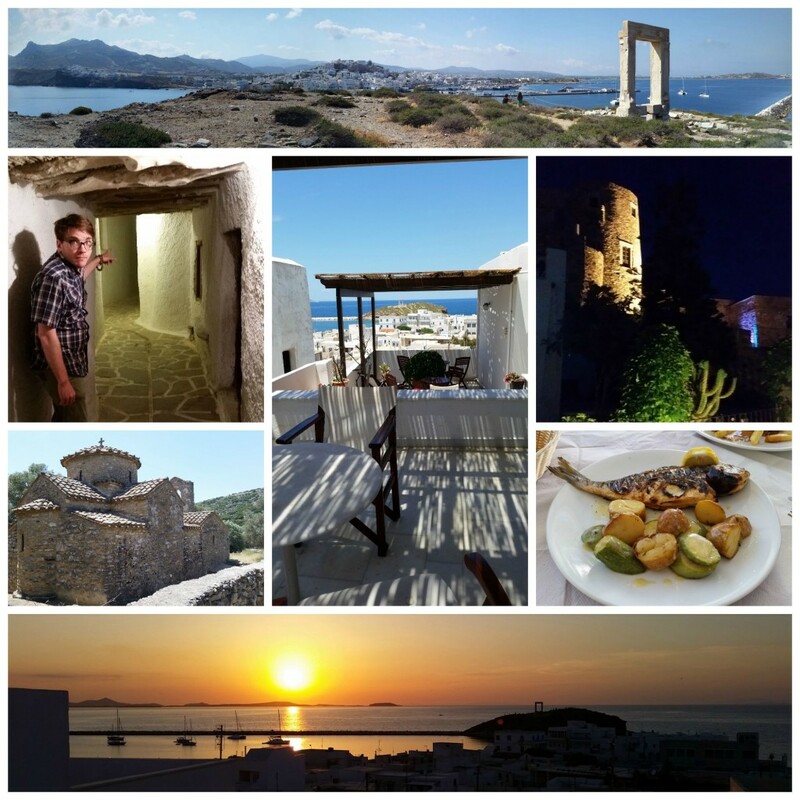 We stayed in Imerovigli, in a place I found via Air B&B that is really more like budget apartments than what you would think of as a typical Air B&B situation. Nevertheless, our “host” was very accommodating and the place was huge. We had a 15 minute walk to and from Fira that was lovely in the mornings and excruciating in the dead heat of the afternoon. Better stop for a frappe. Again with the buses: these ran on a more convenient schedule for tourists, but were frequently crowded. All the major ones depart from Fira. Stuff to do: Definitely go to Akrotiri to see the ancient city (see if you can get a tour so you know what you’re looking at), and go to the Red Beach while you’re down there. Black Beach also cool (you can take a water taxi between the two!). 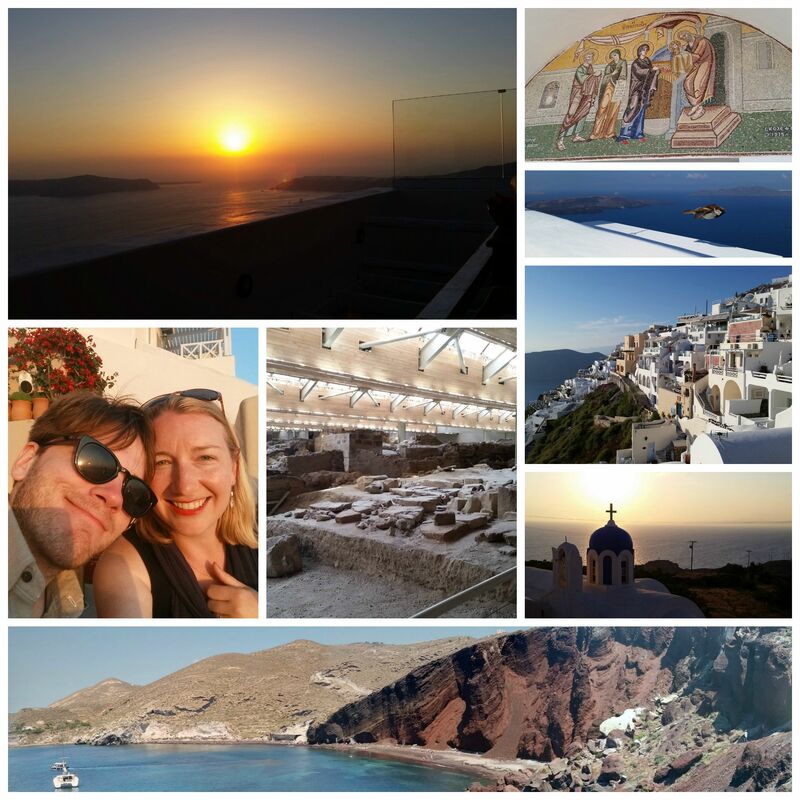 Yes yes yes take in a sunset but I propose you catch the sunset from Imerovigli rather than Oia (best meal, w/sunset: Mezzo). Or do both, but remember if you are going to Oia to go camp out somewhere that faces West. Not South. It is amazing how no one reminds you of this. After you go to Akrotiri, make sure to stop by the museums in Fira to see all the cool stuff they’ve excavated from inside. This place is fascinating. Eat: gelato. Drink: yellow donkey! Some planning required on this one: overnight ferry to Rhodes departs from Santorini at midnight 3 nights a week. Highly recommend cabin tickets! Slept like a log. 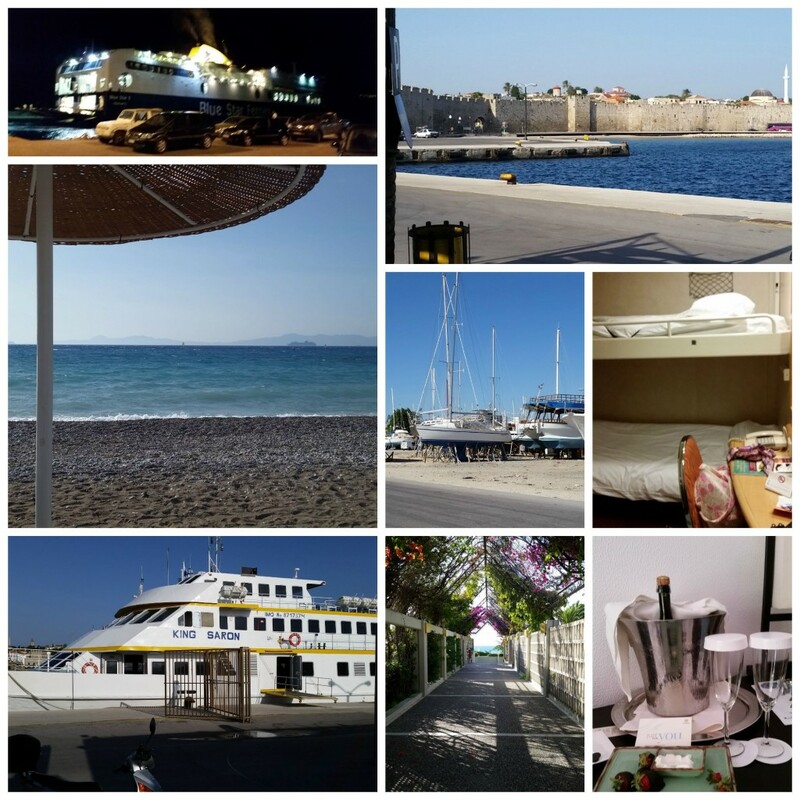 I used Sheraton Amex starpoints to stay one night at the Sheraton Rhodes resort. It took us quite a hike from the port to find a reasonable priced taxi, all the way into old town. We arrived on a Monday when everything was closed, so we didn’t really get a chance to explore. BUT our main reason for being there was to get into Turkey, so I didn’t mind so much. There’s a boat to Fethiye almost every day in the evening, but a morning boat only a few days a week. When we found a place to buy tickets (by the tourist port), they initially told us it was sold out. We were like, can you please check again, and they found us two spots. You can’t buy these tickets in advance so eek I dunno. The Sheraton was, you know, resort-y, but they took excellent care of us! Champagne and strawberries waiting b/c honeymoon. And they called to confirm our boat tickets for the next day since we were still unsure after our interaction with the travel agent. It made for a nice, lazy rest day.